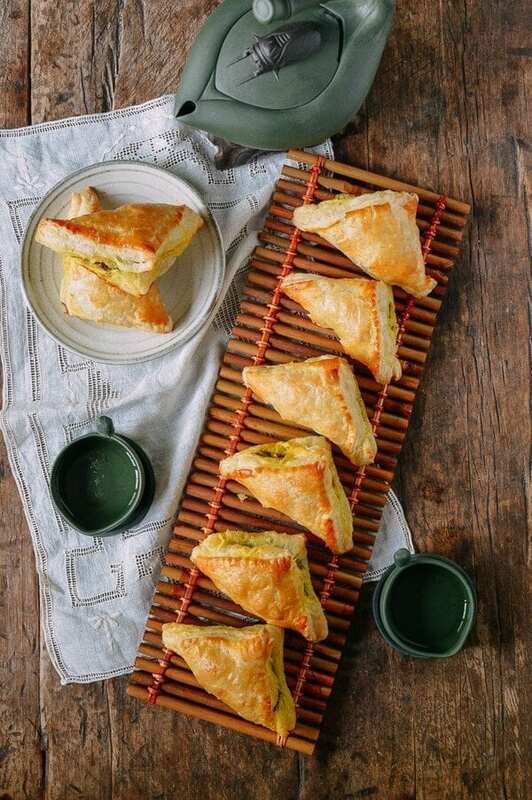 Curry Puffs are a classic Chinese bakery or dim sum item that has fallen to the wayside a bit. I can’t really remember the last time I saw or tasted a really good one while at a dim sum house or rolling through a Chinese bakery for a pineapple bun. Maybe it’s because they’re just too retro to be cool? 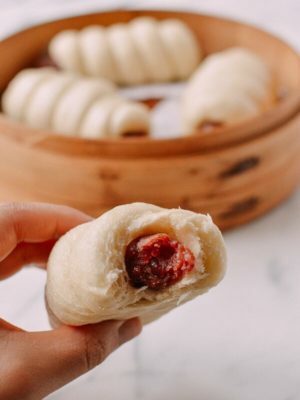 Or maybe it’s just too troublesome what with the laundry list of delicately folded buns and dumplings that said dim sum houses also have to churn out. Whatever the reason, we haven’t left the Curry Puff behind. 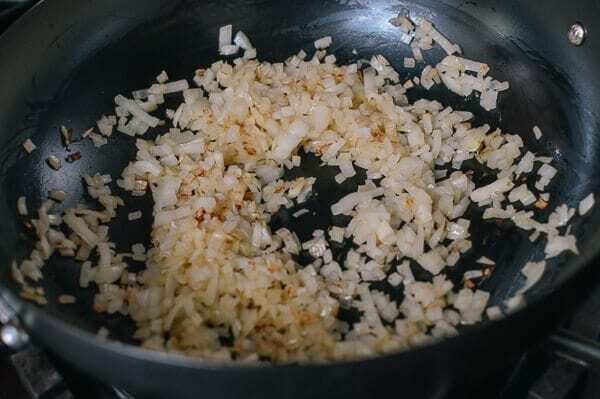 After testing a few recipes–some from the internet and some family recipes–we’ve arrived at the conclusion that strictly from-scratch may not be the best route in this case. 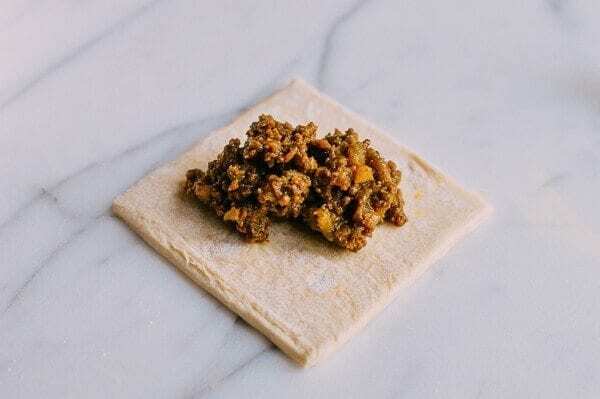 It’s widely available, easy to prep, and its perfectly flaky crispness absorbs the curry flavor of the filling in a delightful way. 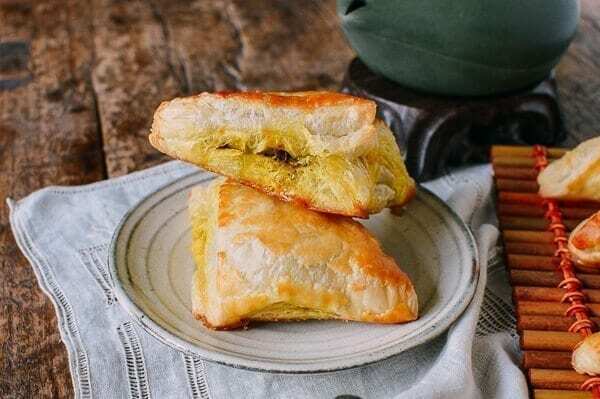 Chinese Curry Beef Puffs are often traditionally made with a very short pastry dough brushed generously with egg wash to give it that Chinese bakery case sheen. While you’re welcome to sub in your favorite pie crust, we highly recommend the puff pastry. 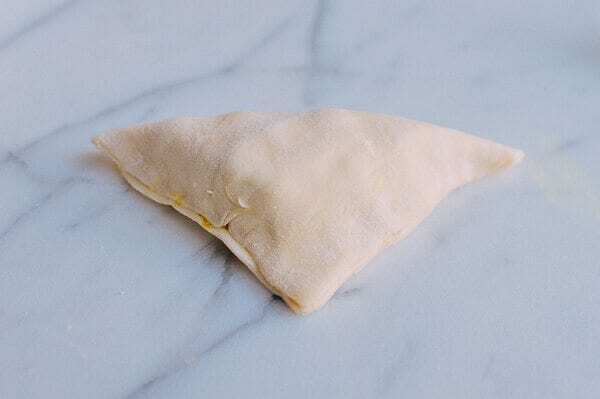 As for the filling, there’s a bit of a narrower range of variation, but for Curry Puffs, the devil’s in the details, and it’s all too easy to end up with a mediocre rather than phenomenal product (see a similar phenomenon at play when it comes to cooking deceptively simple Edamame. 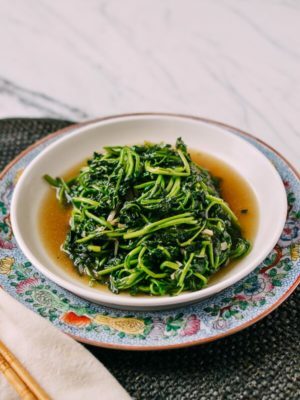 That being said, we’ve kept the filling for this recipe extremely simple, elevating the flavors of the curry powder and keeping the consistency perfectly thick and gravy-like with some well-applied cornstarch. It was so good that we were all sneaking spoonfuls between baking batches of the puffs. 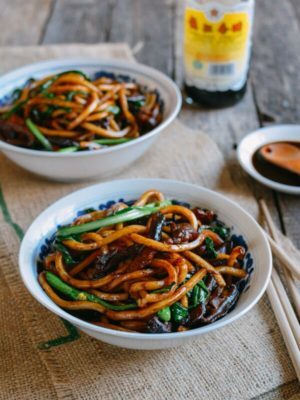 This recipe was actually the mother of our Curry Beef Bowls recipe; so if that was your jam, you should definitely give these puffs a whirl! The TLDR of this exposition is that we pawned the lion’s share of these Beef Curry Puffs off to our neighbors, and they weren’t just deemed good–their kids were fighting over them. So yeah. Make ‘em. 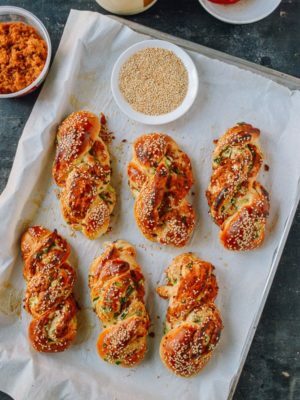 If you’re interested in other Chinese bakery sweets or dim sum dishes, check out our collection of Dim Sum Recipes and Chinese Bakery recipes! 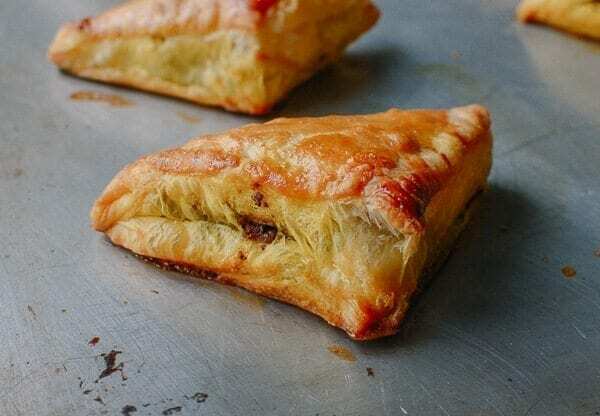 First, make your beef curry puff filling. 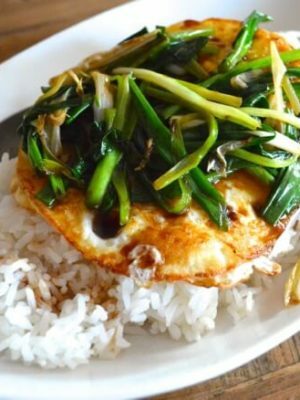 In a skillet or wok, heat the vegetable oil over medium-high heat. 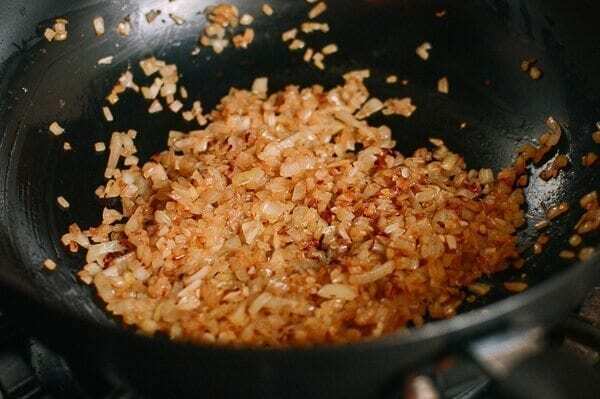 Add the onions and garlic and cook until translucent and just slightly caramelized. 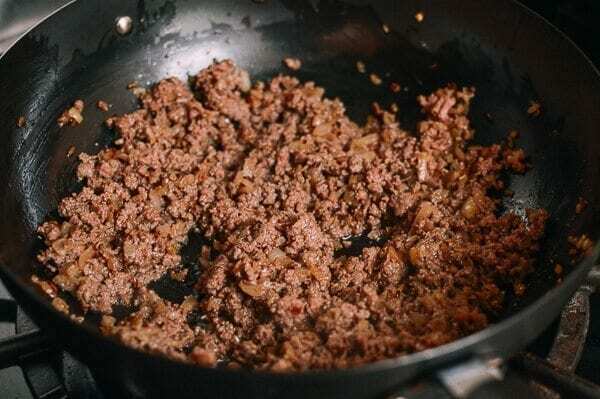 Add the ground beef, breaking it up with a spatula. Cook until browned. Next, add the curry powder, turmeric powder, cumin powder, sugar, black pepper, and salt. Stir everything together and allow the mixture to cook for another couple of minutes. While that’s happening, make a cornstarch slurry by mixing the beef broth with 1 tablespoon of cornstarch. Stir the slurry into the beef mixture and simmer for a few minutes, until the entire mixture has thickened. 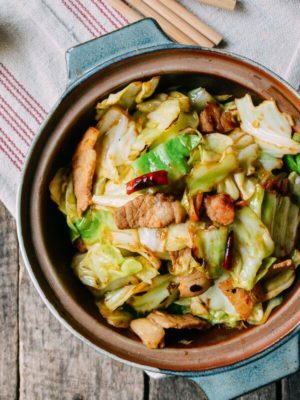 You’ll know it’s ready when there’s no more pooling liquid––just a very viscous curry beef! 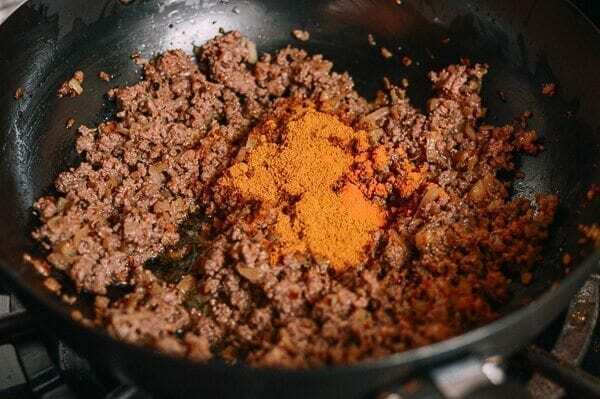 Transfer the beef curry mixture to a bowl and allow to cool completely. 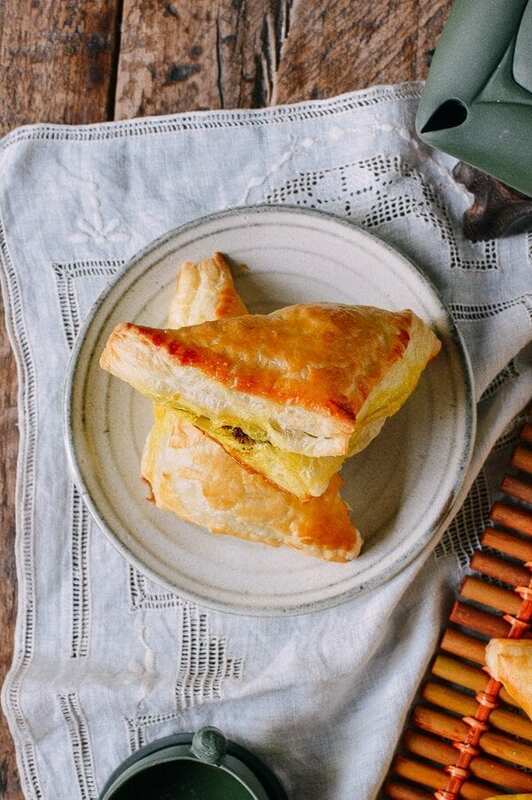 Once your beef curry puff filling has cooled, take your puff pastry out of the freezer and defrost for about 35-40 minutes–no more. One word about store-bought puff pastry versus homemade rough puff pastry is that they are waayyy different! 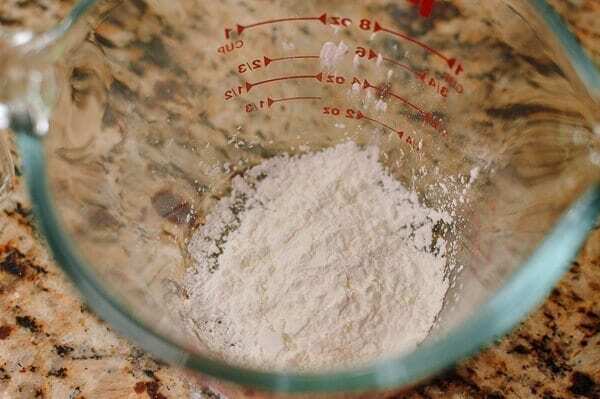 The store-bought stuff is usually made with shortening and a whole lot of other ingredients while our easy rough pastry recipe uses water, butter, salt and, flour. Making your own rough puff pastry is a real game changer. 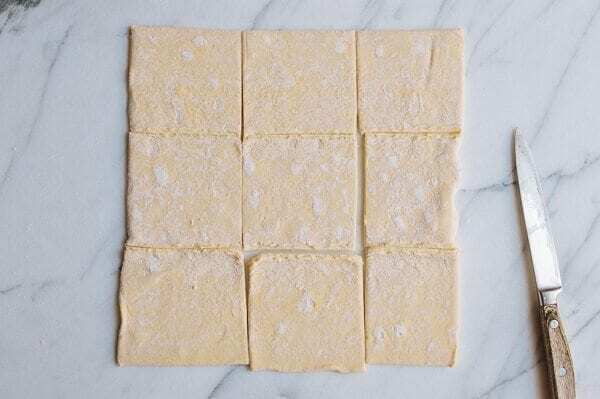 Unfold each puff pastry sheet, and cut each one into 9 squares. Spoon about 3 tablespoons of filling onto each square, and fold diagonally to form a triangle, pressing the edges together. 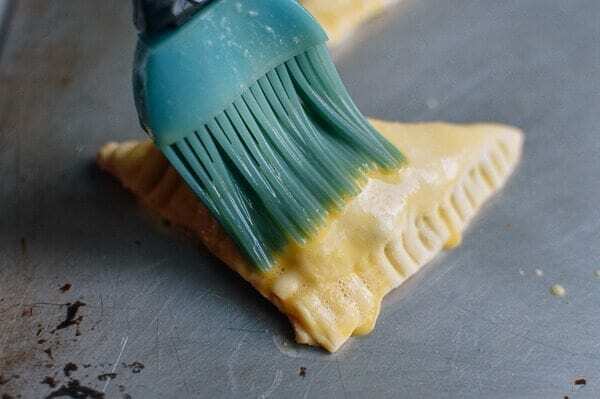 Crimp the edges with a fork and transfer to a baking sheet. Repeat with the remaining squares of puff pastry. You’ll need two baking sheets. 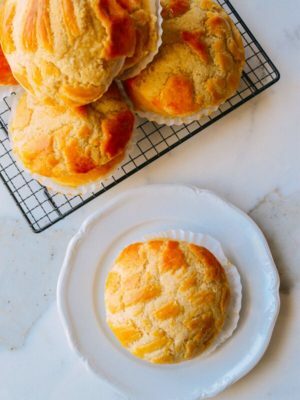 When the puffs are formed, refrigerate for 15-20 minutes and preheat your oven to 400 degrees F. When the oven is preheated, remove the puffs from the refrigerator, and brush with egg wash. 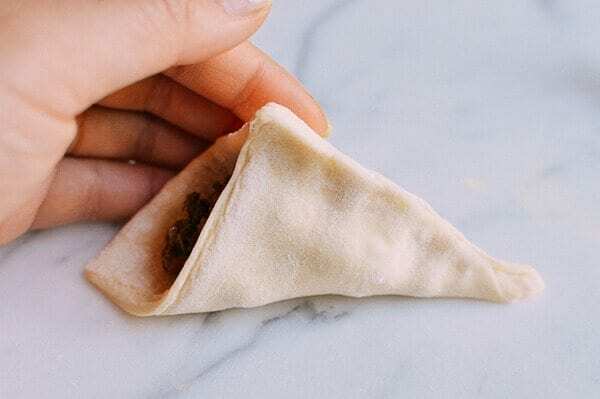 If you decide to freeze your beef curry puffs, then preheat your oven to 425 degrees F, place them on the baking sheet frozen and, turn the oven down to 400 degrees F after you put them in. 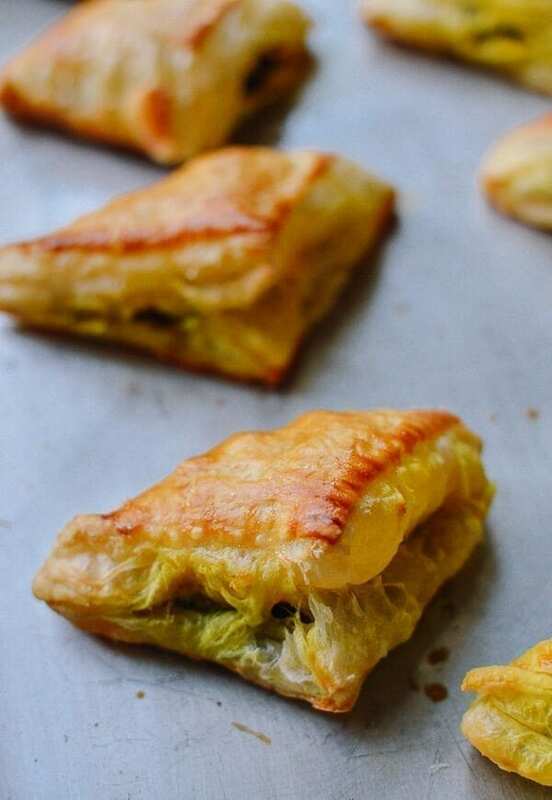 Bake the curry puffs (one sheet at a time) for 15-18 minutes or until golden brown. Let cool for 10-15 minutes before attempting to eat, as the filling will be very hot! 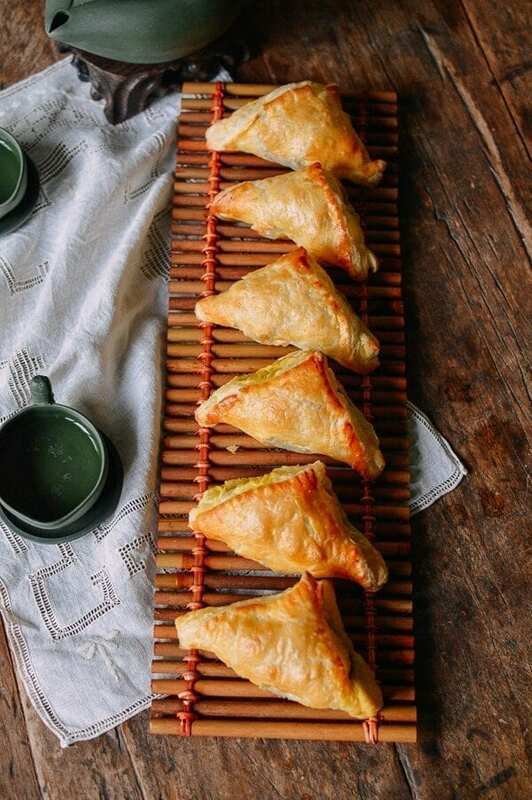 And if you don’t finish these beef curry puffs in one sitting, they can be reinvigorated by a quick re-heat in a toaster oven. 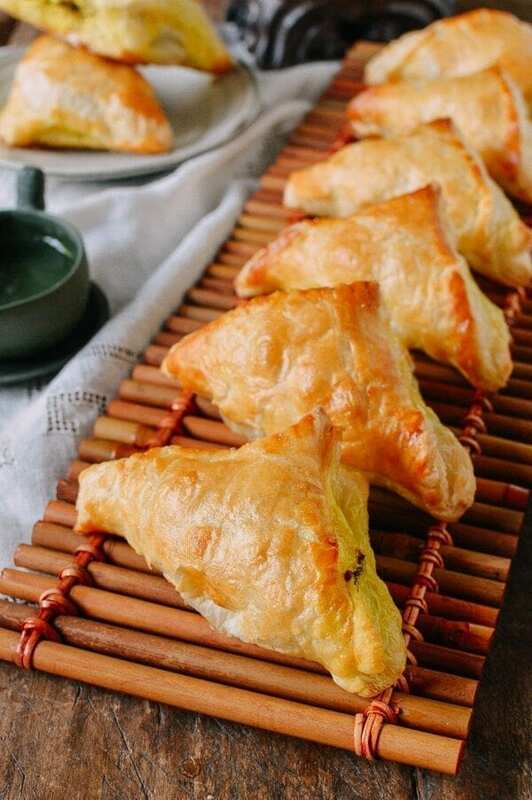 Make a batch of these beef curry puffs today! Chinese Curry Puffs found at dim sum and Chinese bakeries. 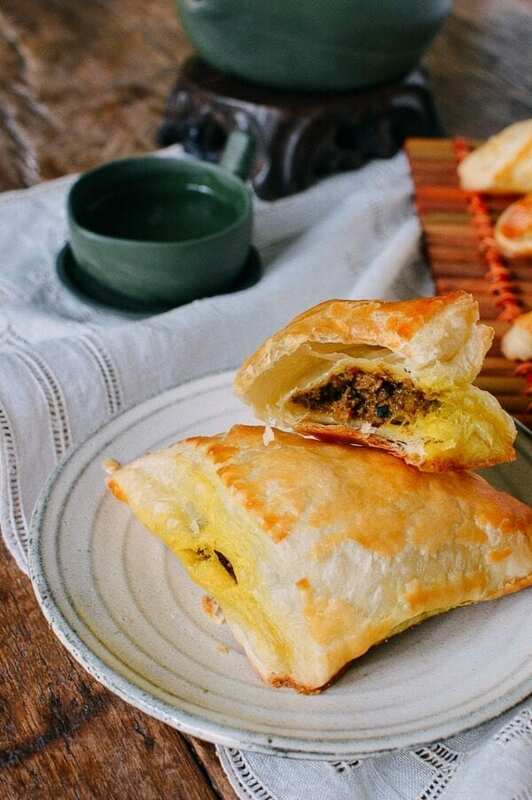 These beef curry puffs have a perfectly flaky crispness with a deliciously savory curry filling. 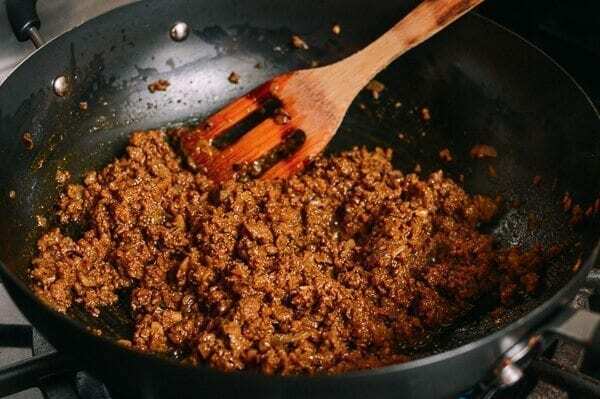 Add the ground beef, breaking it up with a spatula. Cook until browned. Next, add the curry powder, turmeric, cumin, sugar, black pepper, and salt. Stir everything together and allow the mixture to cook for another couple of minutes. 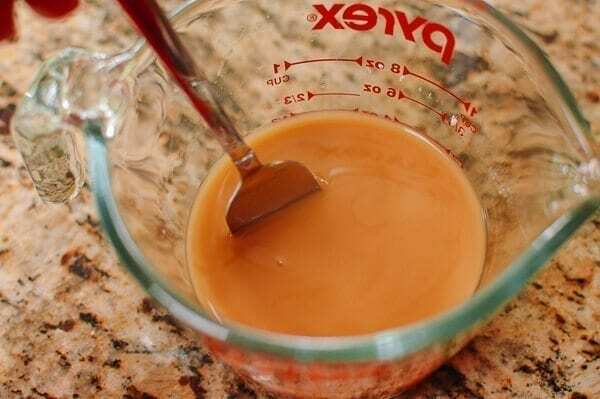 While that’s happening, make a cornstarch slurry by mixing the beef broth with 1 tablespoon of cornstarch. Stir the slurry into the beef mixture and simmer for a few minutes, until the entire mixture has thickened. 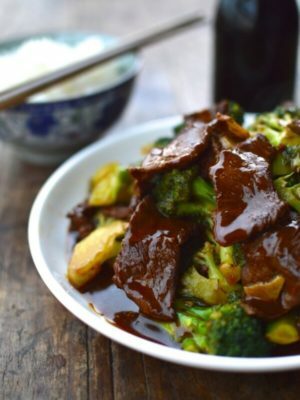 You’ll know it’s ready when there’s no more pooling liquid––just a very viscous curry beef! Transfer the beef mixture to a bowl and allow to cool. 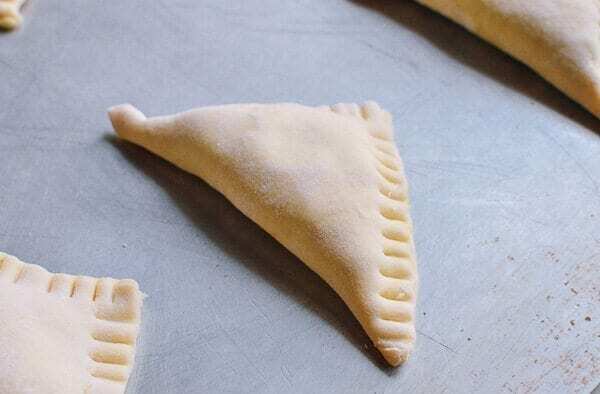 Once the filling has cooled, take your puff pastry out of the freezer and defrost for about 35-40 minutes--no more. 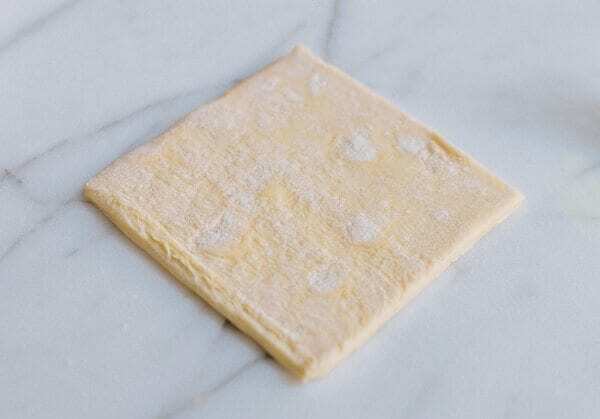 Unfold each puff pastry sheet, and cut each one into 9 squares. Spoon about 3 tablespoons of filling onto each square, and fold diagonally to form a triangle, pressing the edges together. Crimp the edges with a fork and transfer to a baking sheet. Repeat with the remaining squares of puff pastry. You’ll need two baking sheets. 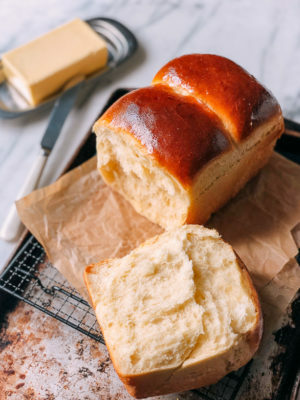 When the puffs are formed, refrigerate for 15-20 minutes and preheat your oven to 400 degrees F. When the oven is preheated, remove the puffs from the refrigerator, and brush with egg wash. Bake the puffs (one sheet at a time) for 15-18 minutes or until golden brown. Let cool for 10-15 minutes before attempting to eat, as the filling will be very hot! And if you don’t finish these in one sitting, they can be reinvigorated by a quick re-heat in a toaster oven. 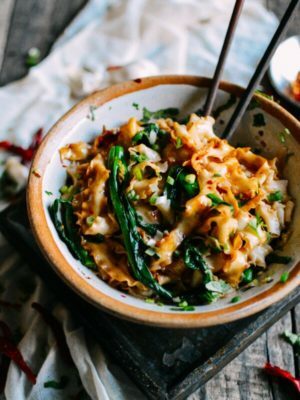 I bookmarked this recipe a long time ago and finally got around to making it for dinner today. 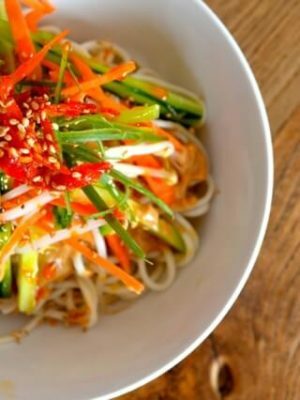 It was amazing and husband approved! These were absolutely glorious. Thank you! I was looking for a final addition to take as nibbles to an evening at friends and I added these in at the last minute. They were by far and away the most popular. I only had hot curry powder and the filling did have a big kick so I stirred in some coconut milk and it was so so good. I’m going to be making this for years to come. Lovely to meet you all! Thank you so much for the kind feedback, Judy. So glad that you and your friends enjoyed these! These are incredible!! 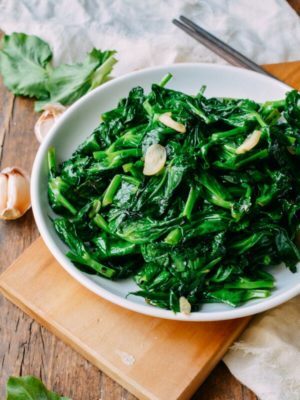 Love the site and all your recipes. Thanks for sharing!! Replaced the beef and beef stock with chicken and chicken stock and it tastes amazing!!! 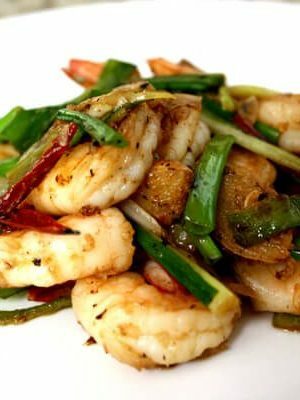 Can you substitute curry paste for the curry powder? Curry paste is more available at my Asian supermarket than curry powder. If so, what kind of curry paste works? We have a good amount of selection of curry paste: massaman, red, green, yellow, panang, and tom yum. Hey Kevin, you could try any of those curry pastes. The flavor will be different, but still delicious. 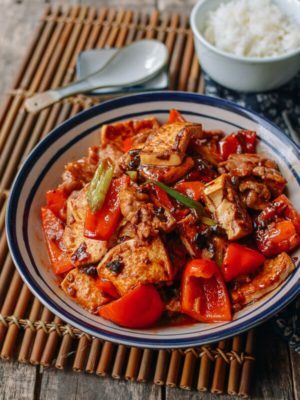 You can feel free to make adjustments to the recipe according to your own tastes in terms of how much curry paste to add. 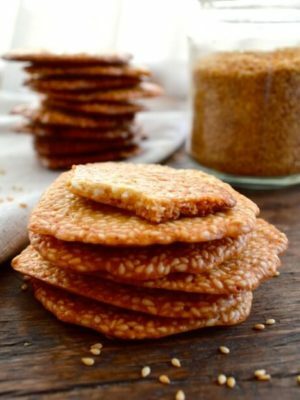 I made these and my very picky kids absolutely love them. 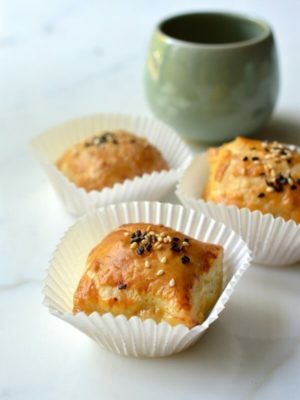 These are exactly as my mom used to make them except that she used regular pastry instead of puff and she did fancy crimps with her fingers, Malaysian style. The filling is delicious. I made the filling for dinner and served with rice and then made another batch for curry puffs. 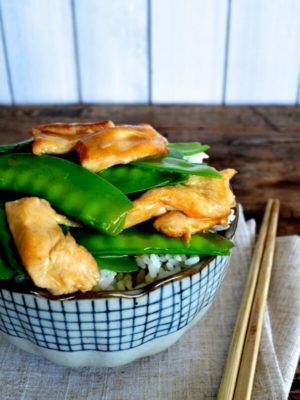 So simple to make and so delicious – thank you! 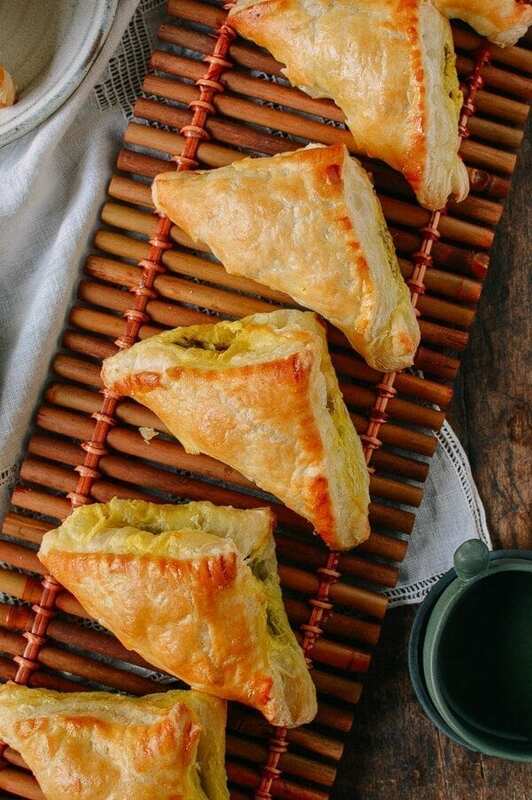 Hi Tricia, these curry puffs are one of my favorites! 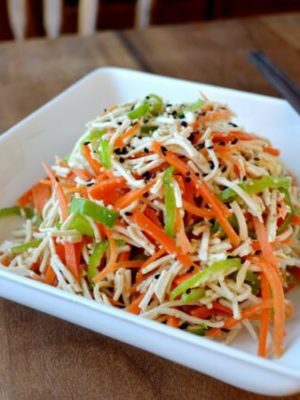 The filling is luxurious to serve with rice. Glad you enjoyed it! 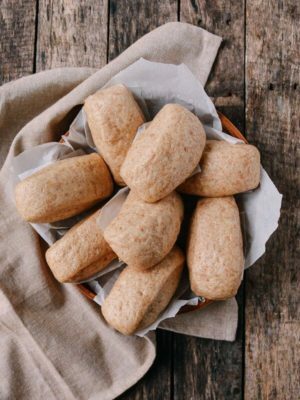 Can these be made ahead of time and frozen to make big batches for a party then reheated? These look great. I’d like to bring them to a potluck. How would these be at room temperature? 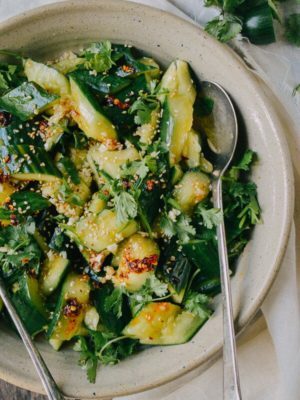 If I have access to an oven at the potluck venue, how should I heat them up?